Listen to Cousin Ed, weeknights at 5:05pm to win CW18 $50 Visa Gift Cards! CW18 Milwaukee wants you to Defy the Monotony this fall with our new killer primetime lineup! Get ready for more drama, action, laughter, and excitement than ever before with all-new episodes every weeknight! Defy your worldDare to live in ours. We are Milwaukee's CW18! 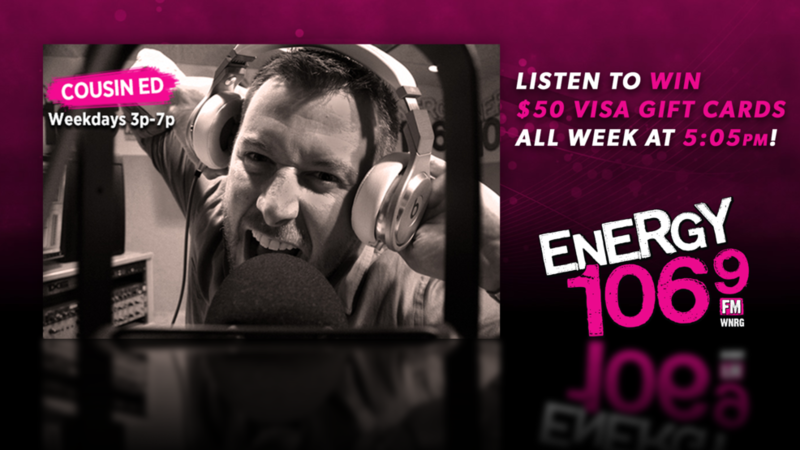 To celebrate primetime's all-new episodes all week long, our friends at Energy 106.9 are hooking listeners up with $50 Visa Gift Cards. Simply listen to Cousin Ed, weeknights at 5:05pm on Energy 106.9, for the chance to call in and win! It's that easy! Good luck, and don't miss the fall's hottest television lineup, weeknights from 7-9pm on CW18! Thursday, we're back to saving the world with the heroes of Supernatural and Arrow. We end the week on Friday with Golden Globe winners Rachel Bloom and Gina Rodriguez in the delightful dramedies Crazy Ex-Girlfriend and Jane the Virgin.